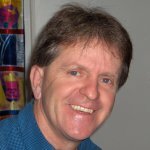 Phil will be appearing in the Story Tent at Adelaide Writers Week on Saturday February 27th at 10.35, and on Sunday the 28th February at 10.35! Phil’s new book, Echidna Jim went for a swim, will be available February 1st through Scholastic. ‘Be Brave, Pink Piglet’ now available!! 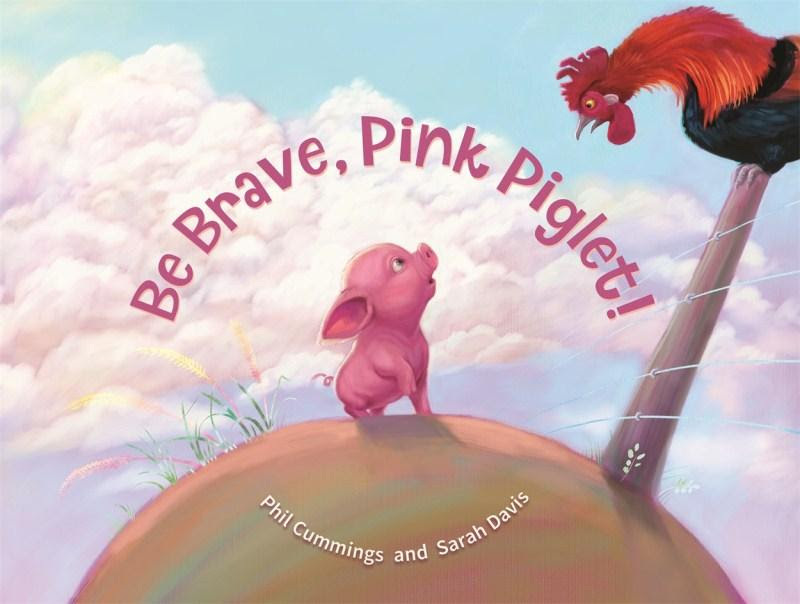 Phil’s new book , Be Brave, Pink Piglet published by Hachette Lothian Children’s Books and illustrated beautifully by the amazing Sarah Davis is OUT NOW! A delightful read aloud story for younger readers, one that will encourage them to think about how brave they can be in attempting something new. The repetition in the first section where he is frightened by the farm animals will please younger readers and encourage them to predict and read along with the increasingly familiar words. Sarah Davis’ artwork will thrill younger readers as they recognise the farm animals and the antics they get up to, sympathising with Pink Piglet’s attempts at independence. Highly Recommended. Fran Knight Read Plus. Bridie’s Boots has been shortlisted! Bridie’s Boots, illustrated by Sara Acton, has been shortlisted for the Speech Pathology Book of the Year Awards in the 3 to 5 year old category. Newspaper Hats is OUT NOW! 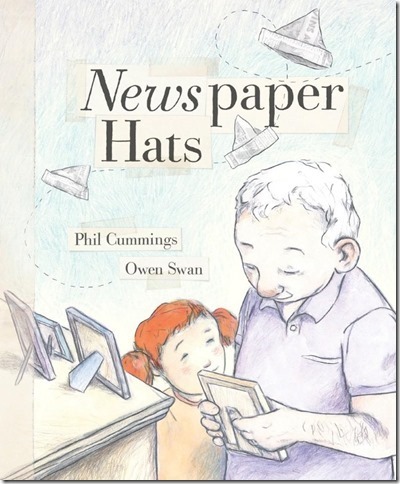 Phil’s much awaited picture book, Newspaper Hats, illustrated by Owen Swan (who collaborated with Phil on ANZAC Biscuits) and published by Scholastic is OUT NOW!! Phil’s book Bridie’s Boots, illustrated by Sara Acton, has been awarded the honour of being named a Children’s Book Council of Australia Notable Book for 2015! 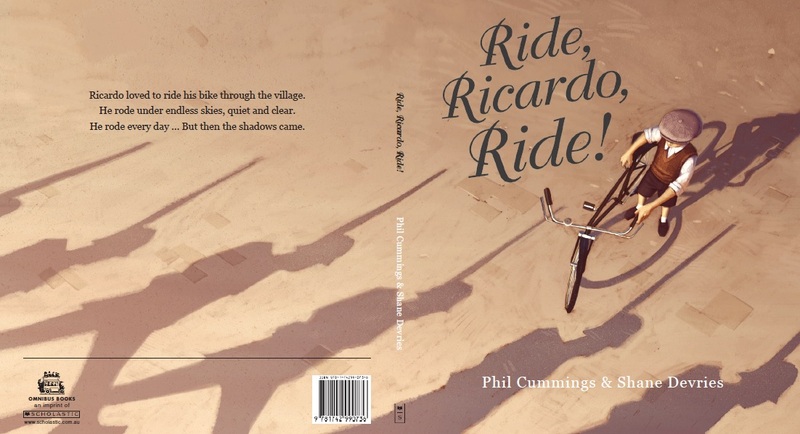 Phil’s new book Ride,Ricardo,Ride!, powerfully Illustrated by Shane Devries and published by Omnibus Scholastic, is OUT NOW! Phil has three new picture books due for release in 2015. Ride, Ricardo, Ride! is a story of resilience and courage. It is set in a village in Europe during WWII and is based on a true story. Illustrated by Shane Devries it will be published by Omnibus Books in March. Newspaper Hats touches gently on a child’s experience as she visits her her grandfather who is grappling with dementia. This story is based on personal experience and observation. Illustrated by Owen Swan, who collaborated with Phil on ANZAC Biscuits, it will be published by Scholastic in June. Be Brave Pink Piglet is about a piglet who encounters all sorts of problems the first time he ventures out alone across the farmyard. Illustrated by Sarah Davis, it will be published by Hachette in October. 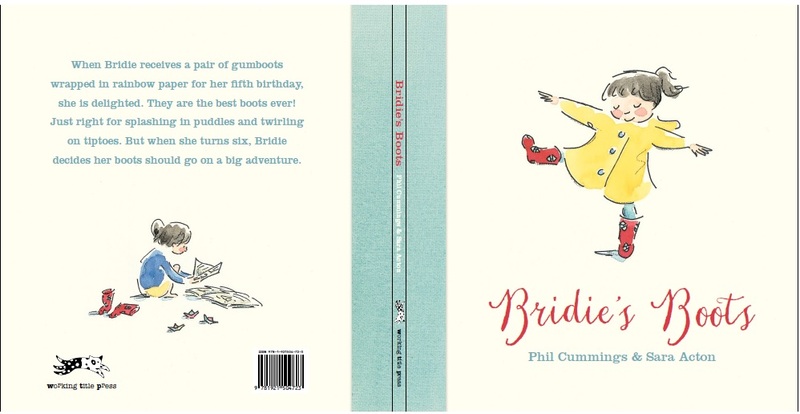 Phil’s book, Bridie’s Boots, illustrated by the wonderful Sara Acton and published by Working Title Press, has been awarded the honour of being named a Children’s Book Council of Australia Notable Book for 2015.